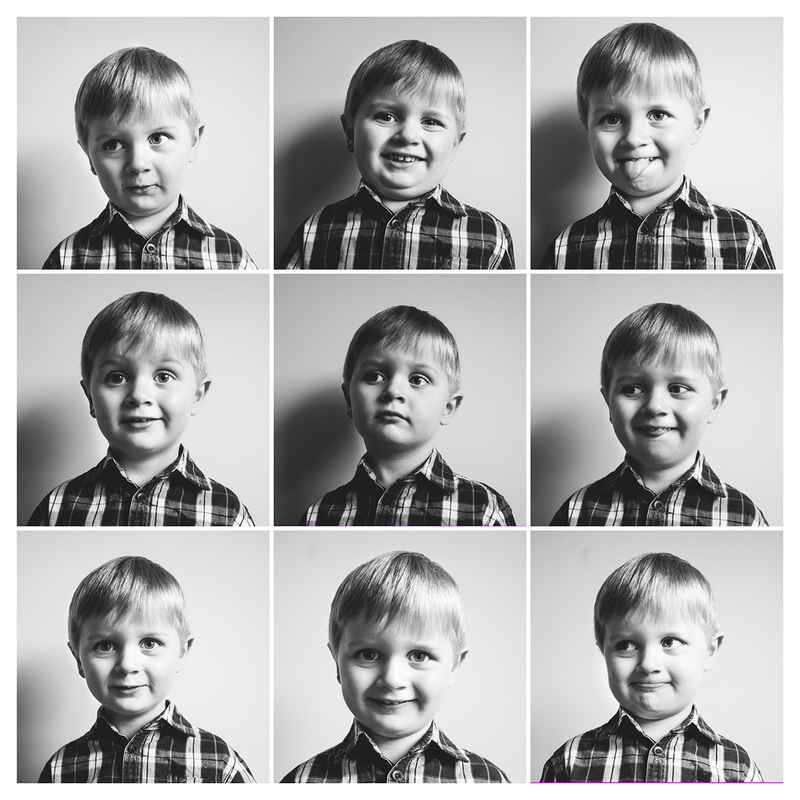 Such an effective way to display a series of portraits and really capture all the different facial expressions that children have. I just had to try this with my kids. Jorja wasn't interested in being photographed today, but Dexter was happy to co-operate. The 'shoot' only took around 2 minutes. Seriously. It took longer to change him out of his dirty T-shirt and wipe his face! I love the range of expressions that can be featured. It can be so hard to pick your favourite image of your kids. You love all the different sides of your children, not just the happy smiley side, but the cheeky (which Dexter has in abundance), the serious and the pensive. This is definitely one for printing, framing and displaying. It's so important to display your photos where you'll see them everyday in your home, especially when your kids grow and change so quickly. I can't wait to create one of Jorja too! Would you like an expression collection like this of your kids?